It’s important to start brushing your baby’s teeth as soon as you see those pearly whites appear. In fact, the Canadian Dental Association recommends that your wipe down babies’ gums even before the first tooth erupts. Thankfully there are infant toothbrushes designed specifically for the task. If you’re reading this, you probably have children and know intimately that they don’t always cooperate – especially babies. Not only do infant toothbrushes make the job easier but they are also the right size to fit inside those tiny mouths and are gentle enough for the job. If you go to a supermarket, drug store or specialty baby shop, you’ll find a plethora of options to choose from. Here we have narrowed the field down to three infant toothbrushes that are up to the task. In this review, we reveal the overall best infant tooth brush, the best infant toothbrush for the money, and the best infant toothbrush on a budget. Realistically, each of these infant toothbrushes represents a very good option so this review should set you off on the right path. Orange Oyster's oral massager delivers oral hygiene to your child like never before! Keep your child's teeth and gums clean and healthy and help them develop a good set of teeth and gums! This is considered by us the best infant toothbrush on the market! This is one of those products where I wonder – why didn’t I think of it myself?! It’s quite brilliant. The Oral Massager fits right over your own finger making maneuvering around the inside of that little mouth so much easier and gentler for your baby. 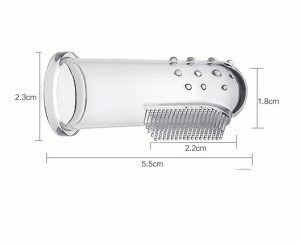 The massager is outfitted with little bristles that sit on the end of your finger so you literally become part of the toothbrush. Not only do we love that this product is easy to use, but we also love that it is made of food grade, super soft silicone and, of course, it’s BPA free. Further, it doubles as a massager for gums made sore from teething. It can also be used on older toddlers as well. It’s also very easy to clean. As an added bonus, it comes as a 2 pack and Ashtonbee backs it with a money back guarantee so it’s tough to go wrong with this buy. This infant toothbrush was conceived with a lot of care and attention. When babies are old enough, they often want to hang on to their toothbrushes and wander around with them given they are helpful for teething (plus sucking the toothpaste off the bristles tastes good). That said, this can be dangerous – as the founder of the Banana toothbrush discovered. Her grandson punctured the roof of his mouth by falling on a traditional toothbrush that was in his mouth at the time. 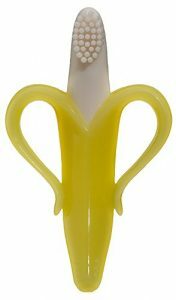 As a result, the Banana Toothbrush was born, and has a flexible, soft handle which makes it much safer than other products on the market. Further it is made from 100% food grade silicone and is perfectly designed for kids 3-12 months of age. The handle also makes it easy to grip when kiddos are old enough to attempt to brush by themselves. Further, it is freezer safe so it can be chilled as an extra means to improve comfort as a teething tool. It is also dishwasher safe. A pediatric dentist designed this toothbrush so it’s already off to a great start. At first glance, it doesn’t look like a toothbrush but the design was quite intentional. It is structured in an ‘H’ shape such that baby’s upper and lower teeth get cleaned simultaneously. The interior of the ‘H’ is equipped with tiny bristles to get in all those hard to reach places. As a parent or caregiver, you know that babies tend to bite and chew on things they put in their mouths. If your baby chews on this toothbrush, it actually cleans their teeth as they do so. Like the other toothbrushes mentioned, it is also made from 100% FDA approved food grade silicone and is BPA free. And like the banana toothbrush, it too can be chilled in the freezer and cleaned in the dishwasher. Starting oral hygiene off on the right track early is really important. Mouths in general are breeding grounds for bacteria and babies’ mouths are no exception. It’s easy to forget about brushing a baby’s gums and teeth because teeth take a while to appear, and even then, they pop up one at a time. Babies often drink milk or formula right before bed as well as through the night, which makes it even more important to brush their gums and teeth during the day since the sugars from the liquid can cause damage. 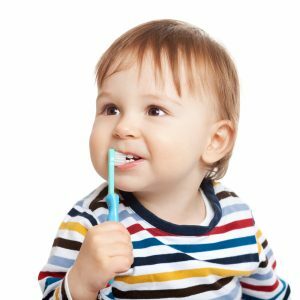 Parents and caregivers could use regular soft-bristled toothbrushes for their babies but it’s important to know that there are toothbrushes designed specifically for babies’ mouths. Not only do they make the task easier, they also do a better and more efficient cleaning job. There are a lot of infant toothbrushes on the market so we have narrowed the search for you. The following guide represents a great starting point as you begin to shop for your little one. The toohtbrushes covered in this review aren’t your typical toothbrushes but that’s part of the reason they made it in. The investment for any of the three covered is not great so you really can’t go wrong. There are a million regular old kid toothbrushes available out there. This review isn’t about those. If you are planning to invest a little extra in a infant toothbrush that goes the extra mile, here are some things you’ll want to consider. Is the toothbrush made of materials that are safe for your baby to put in his/her mouth? 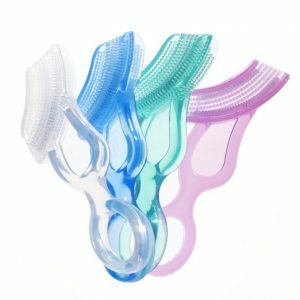 Is it designed in such a way that you are able to efficiently and effectively clean your baby’s teeth? Will your baby like how it feels in his or her mouth? Does it double as a teether? Can it withstand the daily use and abuse those little chompers will subject it to? 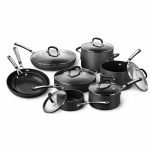 The selection of products available means you can find one right for your budget. And the reality is, none of the toothbrushes reviewed will break the bank. We consider the Oral Massager to be the best overall infant toothbrush. Its design is ingenious and as a result, the competition doesn’t quite measure up. It is also quite affordable at the $20 mark and let’s not forget – that’s for two! You won’t be disappointed. As we mentioned before, we love that this toothbrush slips over an adult finger for the easiest and most effective cleaning job. One of the biggest challenges of brushing a baby’s or toddler’s teeth is when they don’t cooperate. Clamping those lips down on a toothbrush makes it impossible to see what you are doing. When your finger is essentially doing the brushing, you can maneuver around a baby’s mouth by feel. This is definitely the best toothbrush for very young babies. The Oral Massager is made of very soft material so there is no worry about hurting your baby or damaging their gums. Further, the silicone used is food grade and BPA free so the material is safe for your little one. It also comes with a storage case which is great because you wouldn’t want to leave it lying around your sink or tub. Babies also really like the feel of this product in their mouths. It lives up to its name as a great massager for gums made sore by teething. 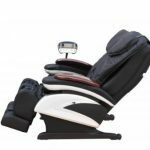 We also really like that Ashtonbee backs its product with a 100% money back guarantee so the risk associated with purchasing this is very low. Although we love this brush, its one-size-fits-all approach doesn’t work well for those with wider fingers. It’s a little on the tight side so it isn’t comfortable for all. 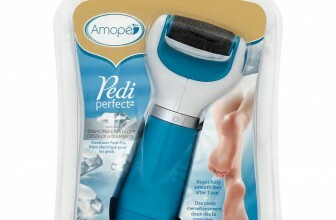 It would be nice if Ashtonbee provided size options for this with bigger or plumper fingers. Furthermore, It can be a choking hazard. You cannot leave your baby unattended with it. So unlike the Banana Brush or the Baby Buddy, the Oral Massager does not double as a teether. Overall design – it fits over your finger for easy brushing. Fit is on the small side so it can be tight depending on the size of your finger. We consider the Banana toothbrush to be the best bet for the money. It does very well on all of the key features. Further, it is very reasonably priced at $8.95 and is definitely worth the investment. Unlike the Oral Massager, it is suitable as a teether for your baby or toddler to manage by him- or herself. The story behind this toothbrush is great. It was conceived by a grandmother, with the help of daughter-in law (a dental hygienist) whom, after an injury to her 2-year-old grandson caused by a traditional toothbrush, designed a safer alternative for conscientious parents. This toothbrush has many strengths. The handle is flexible and soft so it is safe for babies to use as a teether while moving about. If they fall with the toothbrush in their mouths, the handle bends to prevent injury. The banana-shaped handle also makes it very easy for your baby to grip once they want to start to get in on the brushing action. Plus it has soft and pliable bristles that are comfortable and effective when cleaning baby’s teeth and gums. We also really love that it is freezer and dishwasher safe. In particular, being able to freeze it means it packs extra power to soothe aching gums. And like the Oral massager, this brush is also made of food grade materials and is BPA free. Some users complain that the silicone ‘bristles’ are too fragile and can be gnawed off. This is less than ideal but we do know if they are accidentally ingested, the material is harmless. That said, we’d be remiss if we didn’t point out that even though this brush has ‘teething’ qualities, it is a toothbrush first and foremost. The handle itself can be a little awkward for adults to use when brushing their baby’s teeth. The ‘peel’ designs can get in the way. It is designed for little hands to grip so unless your baby toddler is doing their own brushing, it can be a little frustrating at times. Flexible, bendable handle for added safety. Bristles can be chewed off. 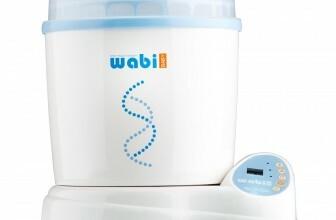 We consider the Baby Buddy to be a great product for those on a budget. Available at the $5 mark, its design is very unique. Some will love it and others won’t but if it works for you and your baby, it will work very well. At this level of investment, it can’t hurt to try. The Baby Buddy is an ‘H’ shaped toothbrush and isn’t really recognizable as a toothbrush at all. You’ll need to think for a minute or two about how to use it. That said, it’s smart in its design. The upper and lower interiors of the ‘H’ are covered in tiny silicone bristles; the idea being that if positioned properly, you can brush your baby’s upper and lower teeth simultaneously. Considering that brushing a baby’s teeth is not the easiest job on the planet, this is a very cool feature. This brush works better than the others as a teether and may be chilled in the freezer for this purpose, and is also dishwasher safe. The manufacturers claim that the brush cleans while it’s being chewed on so this is a definite bonus. The handle is also super easy for a baby or toddler to hold so this design element is a strength too. It’s also available in different colors to please the most exacting customers. Plus this toothbrush is a great option for ‘biters’ whose parents have shied away from the finger brushes. Finally, like its two aforementioned counterparts, this brush is also made of food grade materials and is BPA free. Even though its unique design is a strength, it is also a weakness. The ‘H’ design can be finicky to position properly, and if your child won’t cooperate, it will be frustrating. Some users complain it’s too big for a young baby and too small for a toddler so it is probably best suited for babies somewhere between 6-12 months. Overall we think that whether you like this brush or not will be a matter of preference to you and your baby. Can be a bit finicky to position properly for brushing. Considering that the infant toothbrush you purchase is going to go inside your little one’s mouth, it’s important to choose one that performs the cleaning task well and that your baby will like. After all, one of the biggest roadblocks to successfully brushing your baby’s teeth will be your baby opening their mouth and accepting that foreign object! We highly recommend the Oral Massager as a starting point. 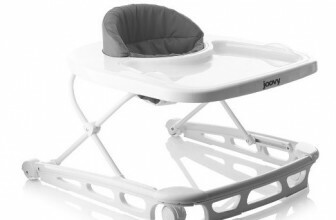 It’s ingenious in its design and is perfect for the youngest babies. The Banana brush is well suited for the slightly older baby and the Baby Buddy is great for those on a budget. That said, with the latter, we say the design won’t be for everyone. Each of these toothbrushes is relatively affordable but is obviously more expensive than your average toothbrush. In the end, we don’t think you’ll regret the purchase. Your baby’s teeth are worth the investment.